*Our treasurer, Bill Marshall, reports we are sound fiscal shape. *Steve has been following up on the membership rolls, and several long-term non-pays have been dropped. We have plans on encouraging old members to stay around and new members to join. *We’ve had several newly minted Ph. D students present the results of their studies to us. While some of you might consider a Ph.D. presentation too detailed, bear in mind that while these students have had teaching experience, it is predominately with material developed by others. Now they need to obtain experience presenting THEIR research. They need a friendly audience to provide clarifying questions. *The trail connecting Goodwin to the Airline Trail, including a 100 foot boardwalk, has been completed. It looks terrific—check it out!! *Lynne Warren reports a good amount of activity on our Facebook page. Have you Liked us? Please share events on your timeline so we can spread the word about the great things happening in our area! 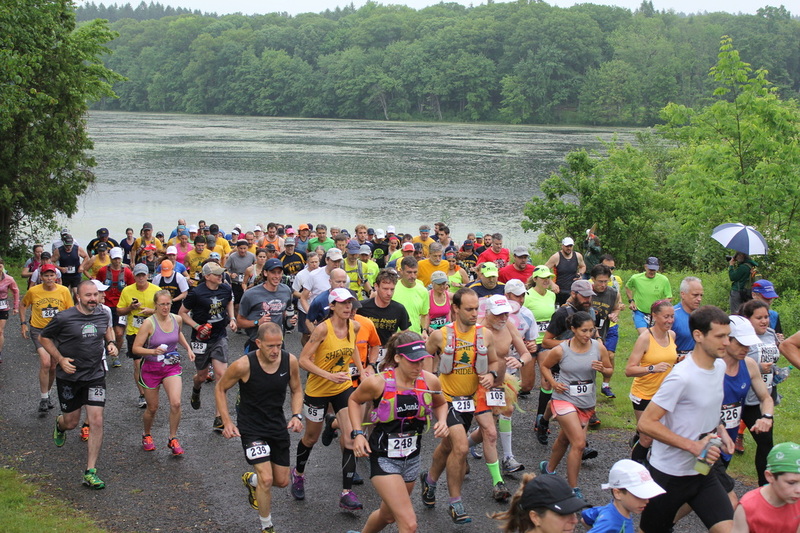 More events and activities during Connecticut Trails Weekend June 2 & 3. As Steve moves into his role as Immediate Past President, and former Vice President Kimberly Kelly takes on a new role at the Connecticut Science Center, we are seeking individuals willing to consider becoming Vice President of the Friends, with the long term goal succeeding me as President. We are also seeking a Membership Chair, since the CFPA would like the Friends to take a more active role in the direct communication with its membership, a role they’ve done in the past. This individual should have facility with e-mail to send reminder notices to folks owing their dues and congratulatory letters to new members. Both positions are voluntary. Please contact Jim Giana. 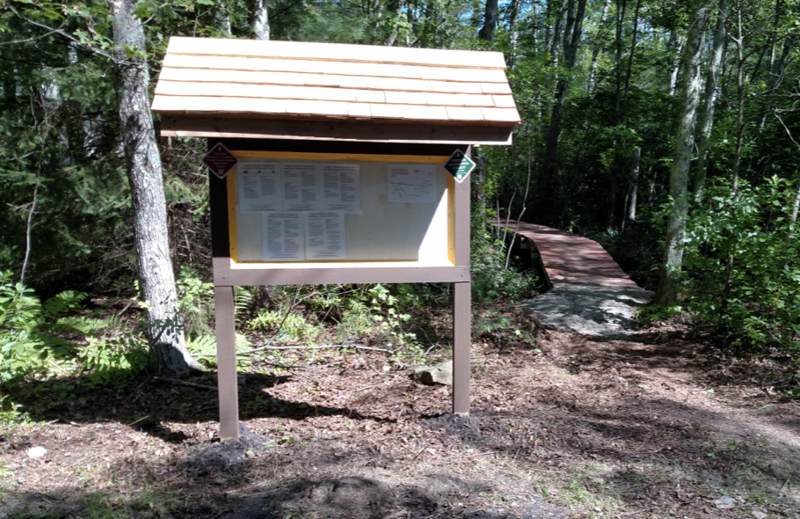 Hikers and others using the Airline Trail are now greeted by a new kiosk at the entry to the Connector Boardwalk that provides directions as well as a listing of current educational programs. The boardwalk winds its way through a wetland area to a platform used for instructional tours of one of our wetlands resources. The map on the kiosk gives viewers the details of the Goodwin Center located a short distance from the Airline Trail, but often overlooked. 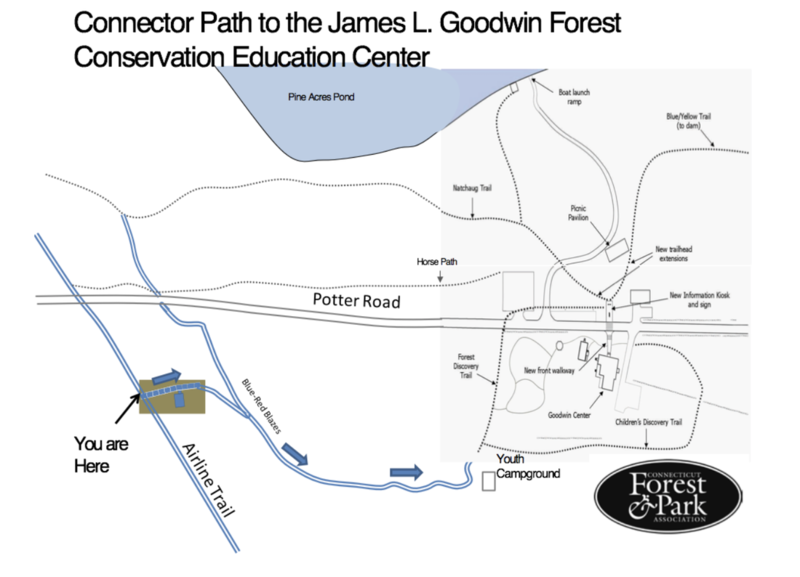 The boardwalk is restricted to foot traffic, but the map shows that nearby Potter Road for cyclists and the new horse path just across Potter Road is available for equestrians. The last section of the new trail map now has the details of the Orange Trail running from the blue-white trail just east of the crossing of Nutmeg Lane north towards Orchard Hill and continuing north into the Natchaug Forest before turning east and then heading back south to again meet the blue-white trail near the crossing of the Airline Trail. The map also identifies several new planned kiosks and map boards plus a new planned parking area on Station Road that will facilitate both round trip and one way hikers. 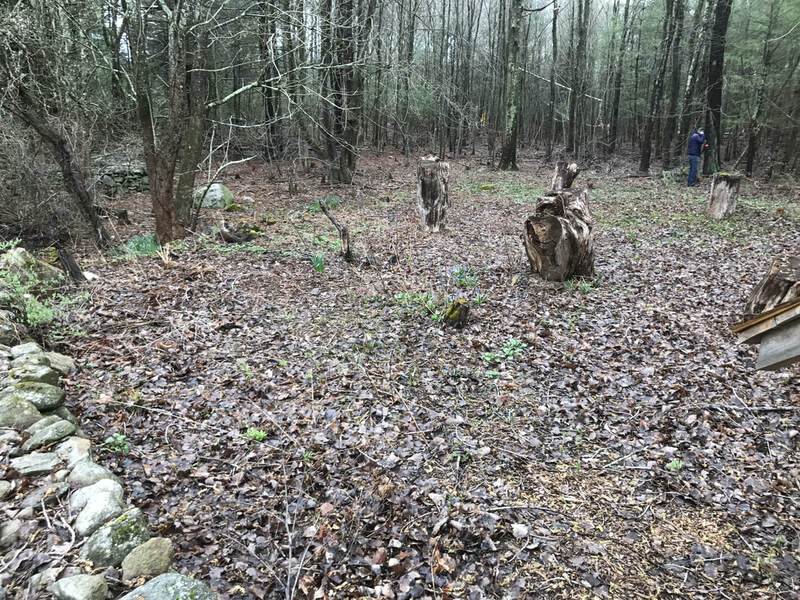 That parking area will also provide easy access to a path linking Marcy Road with the Goodwin Brook Cascade along the Natchaug Trail. 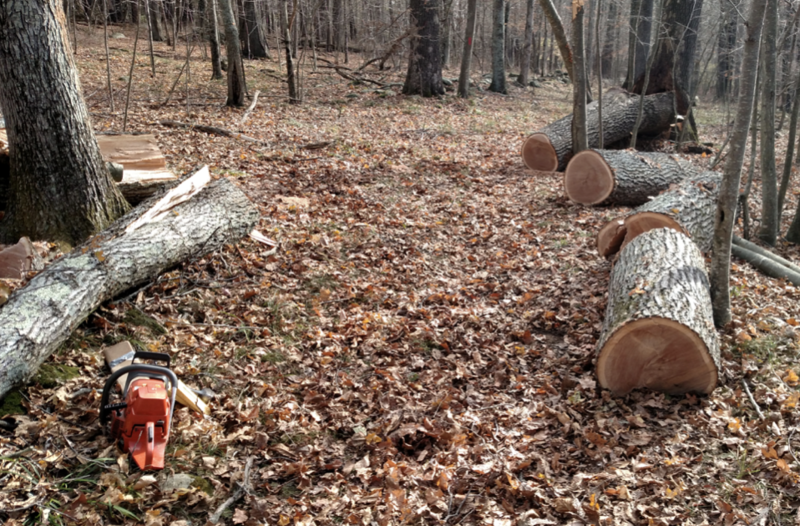 Recent windstorms brought down a number of trees on the Goodwin Trails. Cleanup was facilitated by the trails committee members, some of whom explored the trails on foot, mountain bike or horseback to spot the blowdowns which helped to focus those with chainsaws to remove them. The Children's Discovery Trail (CDT) has been a pet project for over 6 years. The fairy houses were built and people came (and continue to return!) It's so exciting to hear the sounds of children's voices joyfully exploring the forest. One of our goals is to establish a pollinator garden at the entrance to the trail (behind the kiosk Stan Crawford built for us.) The main task was eliminating multiple invasive plants along with poison ivy. With the help of June Powell, Warren Hastings, Jean Gagnon, Diane Greggerson, Kate May, and others from our garden crew, we cut back, pulled out, and smothered everything. Our maintainer, Jason Rounds, helped out with covering the area with wood chips. Note: Cardboard is our preferred method of weed suppression. What we couldn't pull, we sprayed with a vinegar/salt solution to aide in elimination. We then covered with overlapping layers of cardboard and topped with wood chips. By next spring, it will have broken down enough to make for easier planting. Whatever weeds break through, can be dealt with on a more manageable basis. It's rare to find enough time to get everything done in the garden, much less on the CDT. But this year, we applied for a grant from New England Wildflower Society (NEWFS). 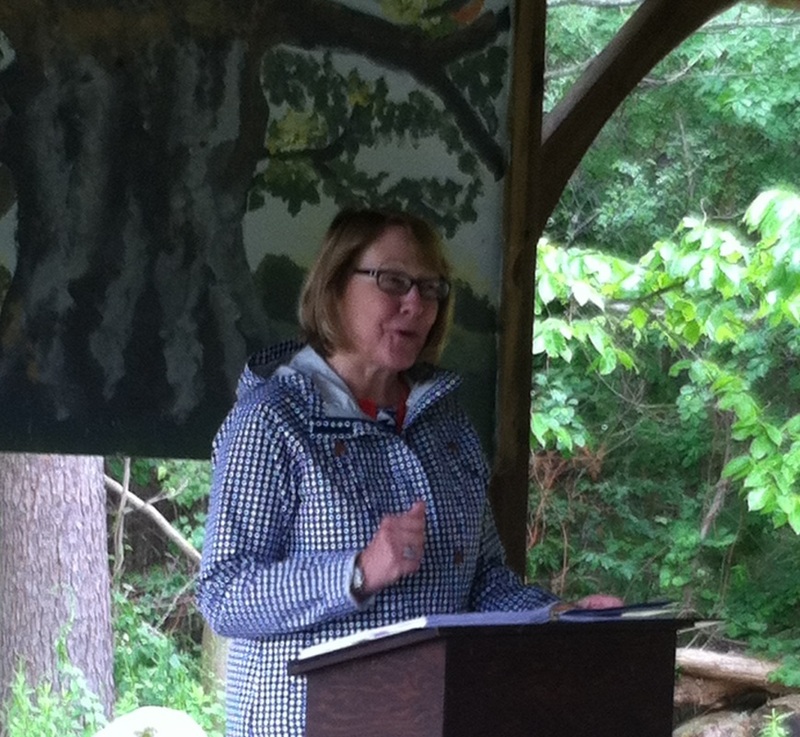 The program is called Pollinate New England and the grants were awarded to two sites in each New England state. It provides instruction and materials for a 150 square foot pollinator garden. We met with the garden designer, Annie White, this fall and are looking forward to working with her next summer. 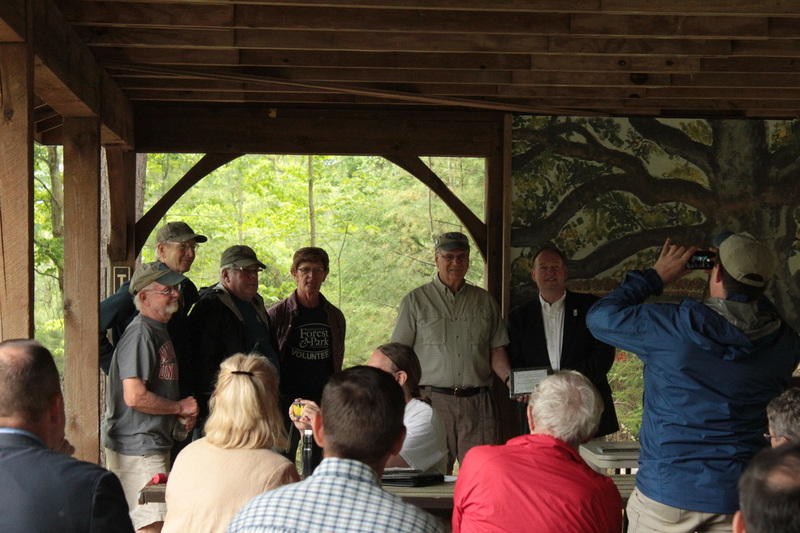 The Friends of Goodwin Forest have been very supportive and will help us expand the size of the garden with supplemental plants. We'll be posting more information as we get it and hope you'll be able to join us for the workshop sometime mid to late summer 2018. 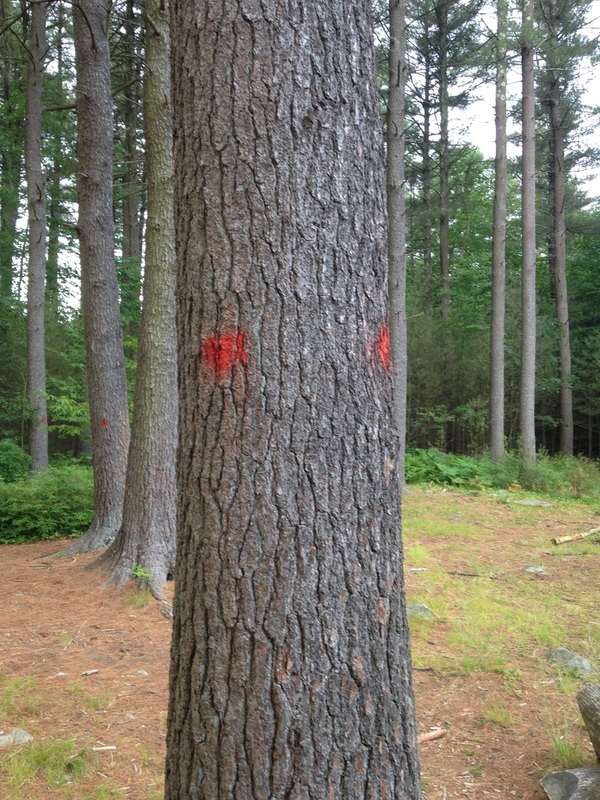 A white pine timber tree marked for harvest in the winter of 2016-2017.